April is Fair Housing Month! Are you prepared? 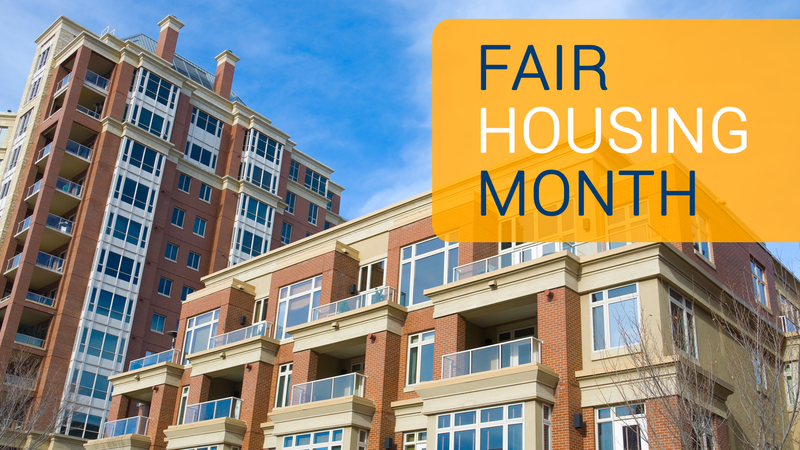 Get ready for Fair Housing Month this year by getting your policies up to speed. NMA offers a wide variety of services to aid your company or agency in your fair housing needs. Looking to update your fair housing compliance? NMA offers a complete package to help you out. This set includes an assessment, physical audit, technical assistance, and training. Help educate affordable housing families about their rights under federal fair housing laws with NMA's Your Rights under Fair Housing video. Now available on DVD and flash drive, this fifteen-minute video covers seven topics fair housing families need to know: what is discrimination?, reasonable accommodations, "steering," Violence Against Women Act (VAWA), sexual harassment, hate crimes, and how to file a discrimination complaint. Learn how to explain and apply critical fair housing laws, regulations, and guidance to assure compliance in HUD's multifamily, housing choice voucher, and public housing programs in NMA's Fair Housing and Reasonable Accommodation seminar. Gain practical knowledge through hands-on case study activities developed from current, real-life fair housing legal actions, recent HUD voluntary compliance agreements, HUD regulations and notices, and fair housing audits.